Our long awaited first photo arrived yesterday of MGP under construction on Deck 4! It’s almost time for Royal Caribbean’s Quantum of the Seas to set sail, so before The Genuine Hospitality Group team heads to Bremerhaven, Germany to train a new crew of genuine staff, we’re inviting you into the process here as we count down the days (16!) with a virtual tour of our menu. View Part I | Snacks here, Part II | Charcuterie & Cheese here, and all Michael’s Genuine Pub coverage here. The first three ships of this class, Quantum of the Seas, Anthem of the Seas, and Ovation of the Seas (her name announced September 18 with the first piece of steel cut,) are expected to be delivered in November 2014, April 2015, and Fall 2016, respectively. Quantum of the Seas will spend its inaugural 2014-2015 season sailing from Cape Liberty in Bayonne, New Jersey, United States, before repositioning to China in May 2015. Beginning late June 2015, the ship will sail three- to eight-night itineraries year-round from Shanghai to Japan and Korea. Anthem of the Seas will spend its inaugural 2015 season sailing from Southampton, Hampshire, UK, before repositioning to Cape Liberty in November 2015. No ports or itineraries have been announced for Ovation of the Seas. Curious to see the first ship in action? Royal Caribbean has posted a few videos on its Instagram feed of Quantum of the Seas beginning its journey to the U.S. from builder Meyer Werft’s shipyard in Papenburg, Germany. Before we embark on a tour of Michael’s Genuine Pub’s beverage line up, today we wrap up the food part of the equation on a sweet note, with Executive Pastry Chef Hedy Goldsmith as our guide. All four of the gastropub’s desserts were selected to represent the spirit of Michael’s Genuine Food & Drink while bringing out the kid in all of us. So join us in breaking down some of our age-old favorites book ending the front of our menu! 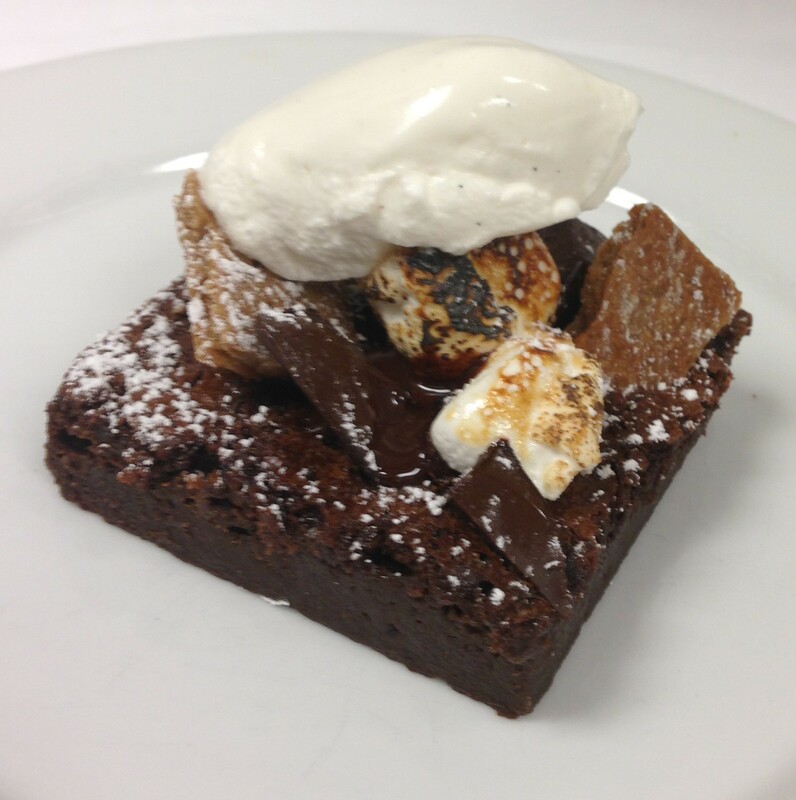 S’more Brownies: Inspired by everyones favorite campfire treat, this s’more brownie has beautiful roasted marshmallows, graham crackers, and dark dark chocolate baked into it. This fudgey combination of two classic American treats will be sure to bring you back to your childhood. 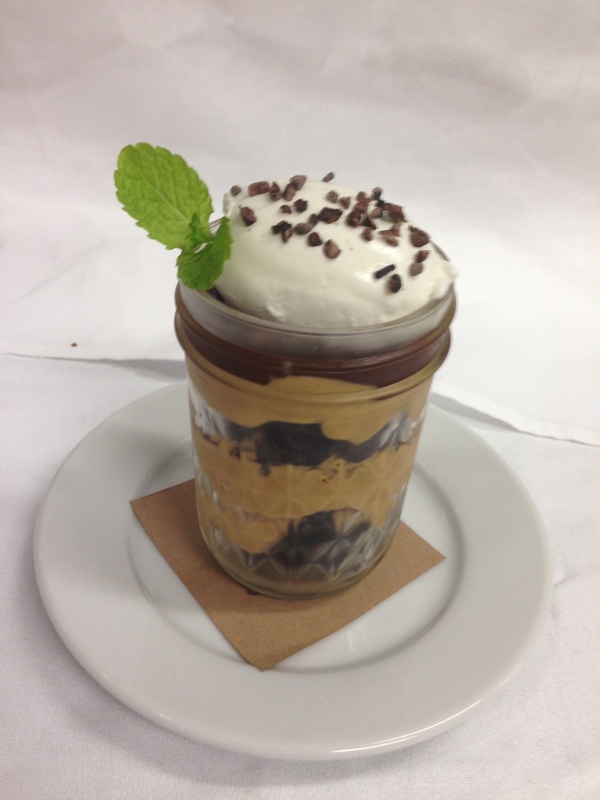 Peanut Butter Pie-in-a-Jar: This classic mixture of peanut butter and chocolate is as American as it gets! The idea was stumbled upon when Hedy wanted to serve pie at Michael’s Genuine Food & Drink but didn’t have enough storage to do so. She instead created this fun and delicious pie-in-a-jar concept that takes all of the components of a peanut butter pie (layered Oreo crumbs, peanut butter filling, and chocolate ganache) and keeps it compact and easy to eat. Slip a spoon all the way to the bottom or eat one layer at a time. It’s up to you! 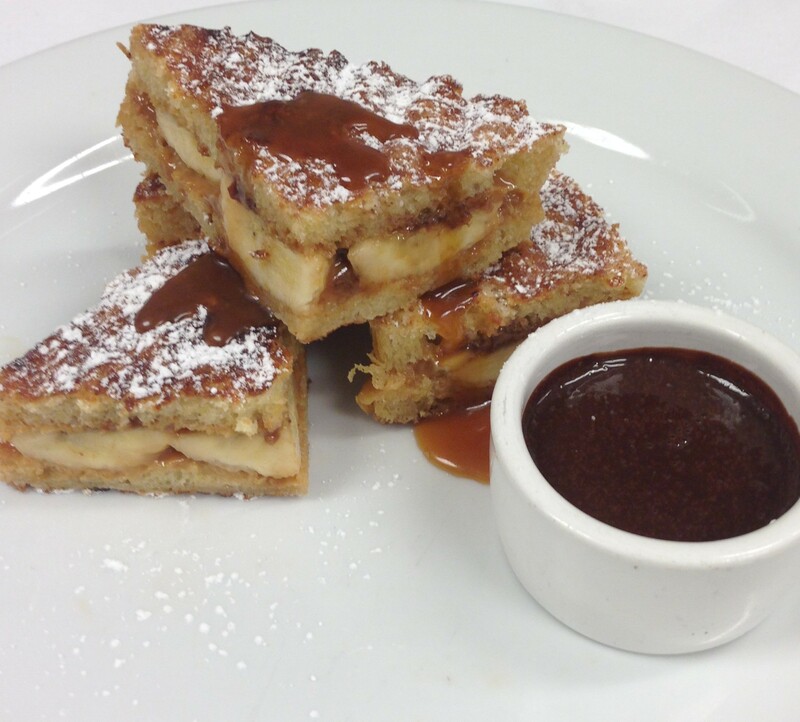 Banana Toffee Panini: A Michael’s Genuine staple, this sweet panini is the perfect mixture of sweet and salty. Banana, condensed milk, toffee pieces, and a pinch of sea salt are all sandwiched between cinnamon and sugar covered brioche bread and pressed to a caramelized crisp on the outside, while the inside melts into gooey heaven. If that wasn’t enough, there’s a silky chocolate dipping sauce to the side. Panna Cotta: This light, tangy, and sweet dessert is the perfect way to end a rich meal. 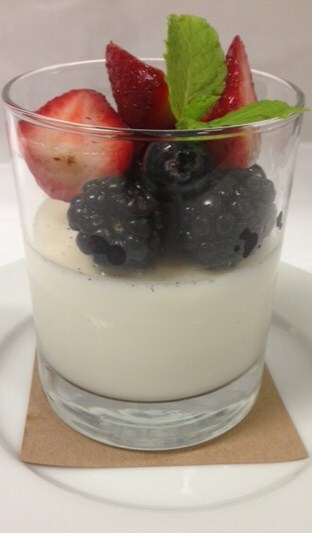 The italian eggless custard is flavored with greek yogurt, vanilla, and lemon, and is served with marinated berries. ← Happy 3rd Birthday, Harry’s Pizzeria! Sets Sail In November Aboard RCCL’s Quantum Of The Seas . . .